This Celtic door knocker includes all hardware and the strike plate! This large Trinity door knocker features a Celtic knot mounting bracket along with a knot-work motif strike plate and measures 6" tall x 5 3/4" wide. 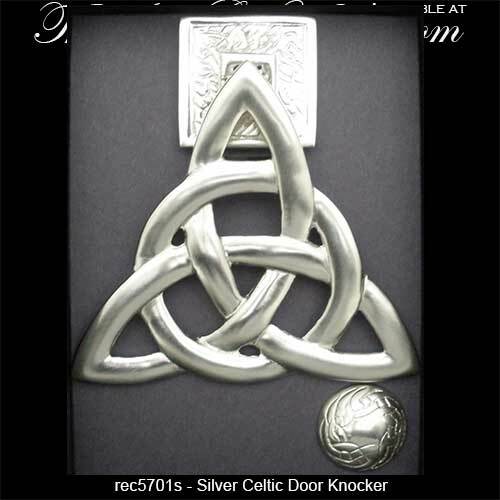 This Trinity door knocker is enhanced with a silver tone satin nickel finish over solid brass construction and it is gift boxed with a Celtic knot history card, complements of The Irish Gift House. 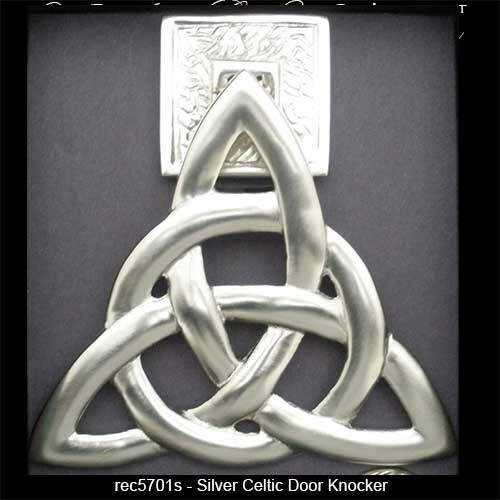 The silver Celtic door knocker is made in the United States.